The City of Ruston in partnership with Louisiana Tech University is requesting $17,929,835 in FY 2018 BUILD Transportation Discretionary Grant Capital Investment, as part of an estimated total cost of $22.3 million dollars for the Monroe Street Corridor Project. Using a thirty-year analysis period to anticipate a return of benefits, this project is forecasted to yield over $2.87 in net public benefits per every $1 invested. The Monroe Street Corridor Project is a critical component of a broader collaboration between the City of Ruston and Louisiana Tech University to remake and redevelop the core of our city as a hub for technology-based economic development and create quality of life amenities around transportation, health, safety, culture, and recreation in an environmentally sustainable manner conducive to a 21stcentury knowledge economy workforce and economic base. 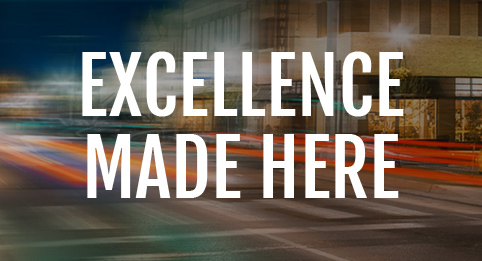 The Project is composed of seven interconnected multimodal transportation components, which will increase efficiency and safety between Louisiana Tech University, the University’s Enterprise Campus, downtown Ruston, and the I-20 corridor. The innovative design of the Monroe Street Corridor Project includes “complete streets” that integrate road diets, incorporates existing brownfield sites, and utilizes the low-impact design principles of zeroscaping, bioswales, and LED lighting. The proposed project will also connect sections of the Rock Island Greenway, the backbone of a citywide active transportation system. 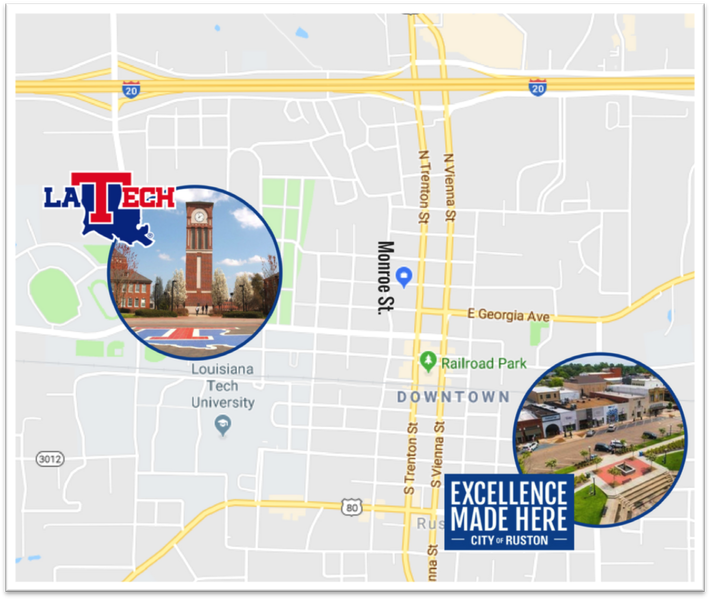 Growth of economic activity in the Louisiana Tech Enterprise Campus, growth of the university student and faculty community, and related growth in downtown Ruston and along the U. S. Interstate 20 Corridor has put great pressure on the transportation infrastructure in the core of the City. These developments have created significant safety risks and transportation inefficiencies which are expected to increase significantly in the next several years as new buildings and expanded companies come on line in the Enterprise Campus, as enrollment at Louisiana Tech continues to grow, and as complimentary economic activity increases. Over the last decade significant investments in transportation, technology, and economic development infrastructure have been made by the City of Ruston, Louisiana Tech, the State of Louisiana, and other partners in the core of the City guided by the City’s strategic plan and the university’s master plan. The next phase of that investment will soon launch with the City’s new $80 million dollar infrastructure initiative. We are asking the U.S. Department of Transportation to partner with us to fund one of the critical near-term components of our overall infrastructure enhancements—the Monroe Street Corridor Project—to create an efficient, sustainable transportation infrastructure for our city that promotes safety, health, quality of life, and technology-based economic development. To read the rest of this application click here.